Cwmtydu is a small seaside hamlet on the Cardigan Bay coastline. Boasting just a handful of houses and a cafe clustered alongside a small river named Afon Tydu the hamlet hides a lovely secret. Follow the road towards the sea and on rounding a tight right bend all will be revealed. 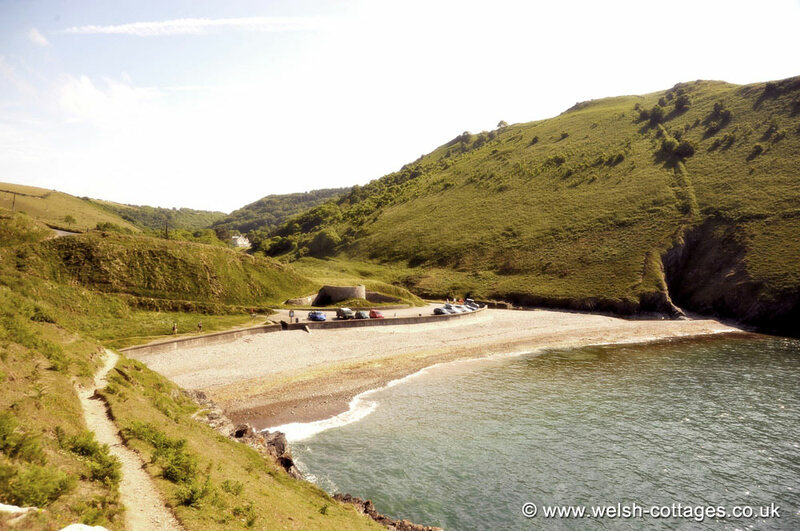 There is a lovely pebble beach flanked on both sides by steeply banked cliffs and the ‘all Wales coast path‘ joins the beach here on both sides, there is also a small disused lime kiln just behind the beach. More information on Cwmtydu (opens in a new tab). If you would like to stay in the area, see this website’s listings for some self catering nearby.